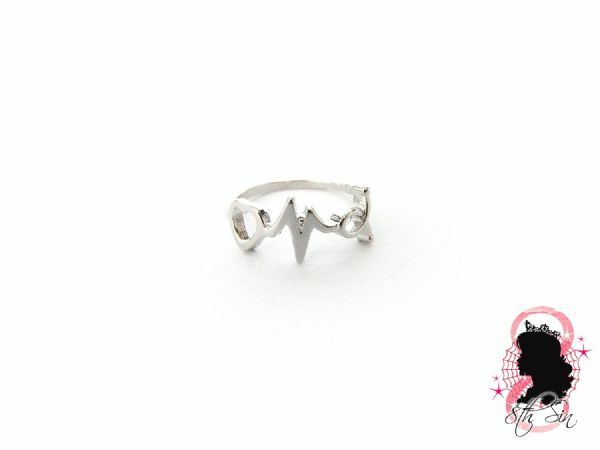 This is an antique silver ring featuring a heartbeat rhythm strip and heart shape around the band. 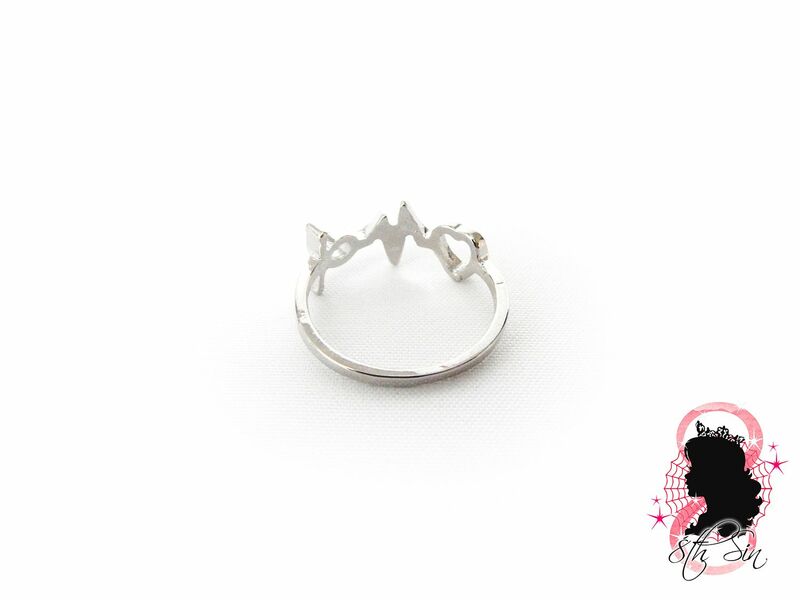 Made with silver plated findings. The ring is approximately a UK/AU size M-N, inner circumference approx. 52.5-53.2mm/2.07-2.1 inches. It is not adjustable in size.